To create a national organ that weaves together the most politically-advanced organizers in the movement against mass incarceration, through which we can explore and unite our strategies, tactics, and histories. 30-45 minute monthly podcasts, hosted and edited by Matthew Pillischer, with various guests. See podcast format below. Ancillary organizing and study materials to accompany each show will be posted directly below the episodes on the home page— including documents with suggestions for how to organize a study group around the show, how to lead a meeting, topics and questions to discuss, and how to decide on and write group feedback to be sent back to the show’s editor. 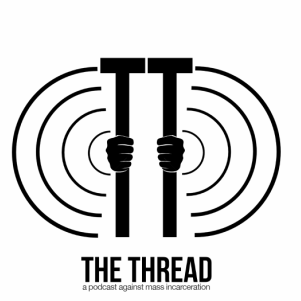 Study groups that agree with The Thread's working principles will be organized to listen to and discuss monthly shows, to provide democratic feedback and input, and to share information about campaigns and actions. Feedback from study groups & movement announcements will be published on the website. Annual regional gatherings of study groups will be organized, to meet face to face and further plan coordinated regional work. Introduction - 3 min: Theme song, intro explaining show and organizing concept, and an agenda for that month’s show. Struggle Highlight - 10-20 min: Each show will interview an organizer(s) from a grassroots group or campaign, challenges and successes. Theory & History - 10-20 min: Each show will interview a historian(s) talking about relevant histories (e.g. Radical Reconstruction, SNCC, Black Panther Party, theory of the vanguard party, united front tactics, etc.). Study Circle Responses - 3 min: Briefly highlight important responses to past podcasts, and direct people to full written responses online. Movement Announcements - 2 min: List of areas that are having upcoming actions/campaigns (think school closings list), and direct people to website for details. Outro - 1 min, calling for suggestions for feedback, direct to website discussion points & ancillary materials, credits. Read about the team behind The Thread.